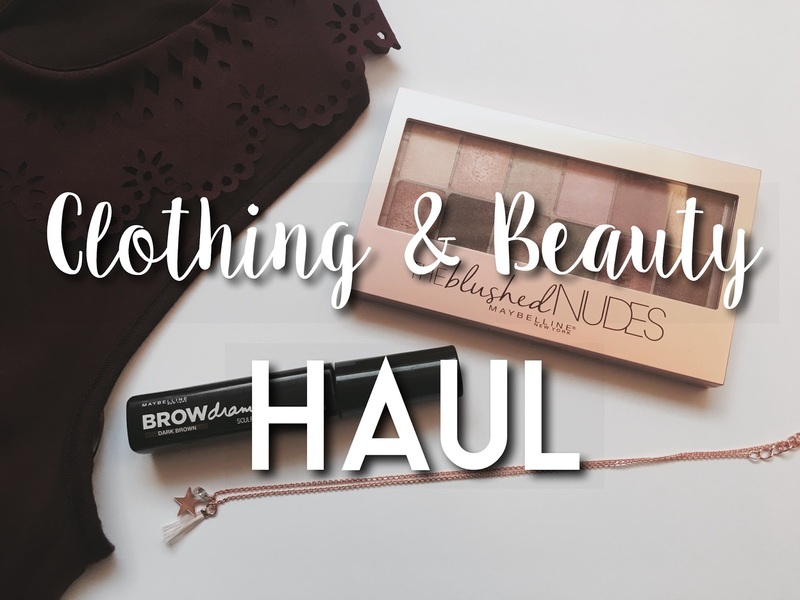 Over the past few weeks I have purchased a few clothing items I thought I would round up and share with you in a haul post today. I bought this black T-shirt from Topshop. It was only £14, which I thought was a great price. 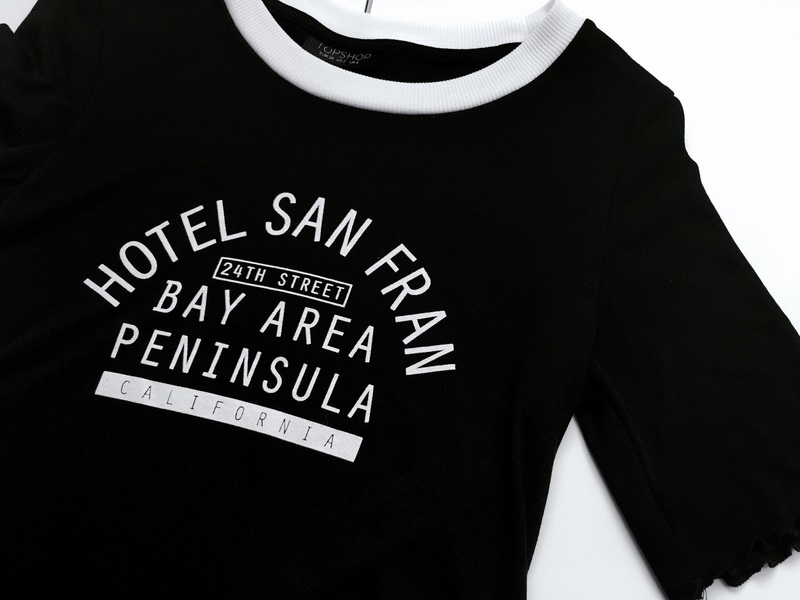 I love the crinkled hems because I think it brings a girly touch to the T-shirt. Surprisingly, I also don't have own black T-shirts, so I thought this would be a good edition to my collection. Also in Topshop, I purchased this Rose Gold necklace from their Freedom jewellery range. 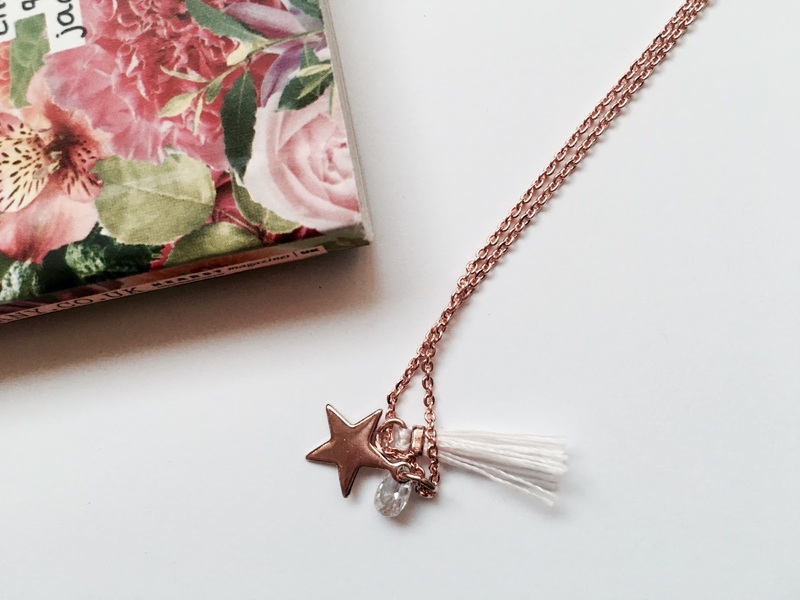 I love rose gold jewellery and I think the star charm is really lovely. I don't actually wear jewellery that often but I think because this necklace isn't too long I will wear it on more of a daily basis, and it will also match my rose gold Michael Kors watch I got for Christmas. 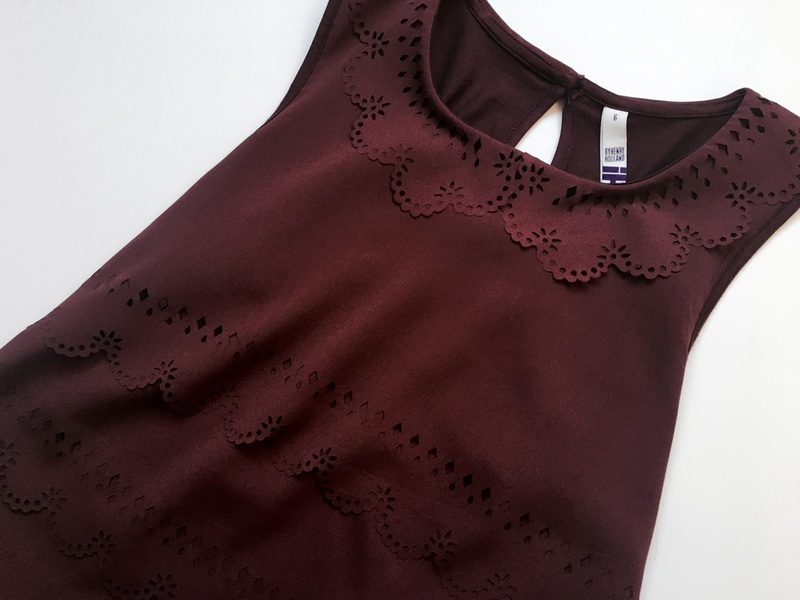 A clothing item I got for Christmas that I have not yet shared on my blog is this beautiful burgundy top from Henry Holland at Debenhams. I actually saw this in the store and then my mum bought it for me for Christmas because it is one of my favourite colours and so pretty! I can't wait to wear it, especially when it gets a bit warmer. I also picked up a few items from Maybelline recently - The Blushed Nudes palette, a palette with the most beautiful shades that I actually reviewed last week. 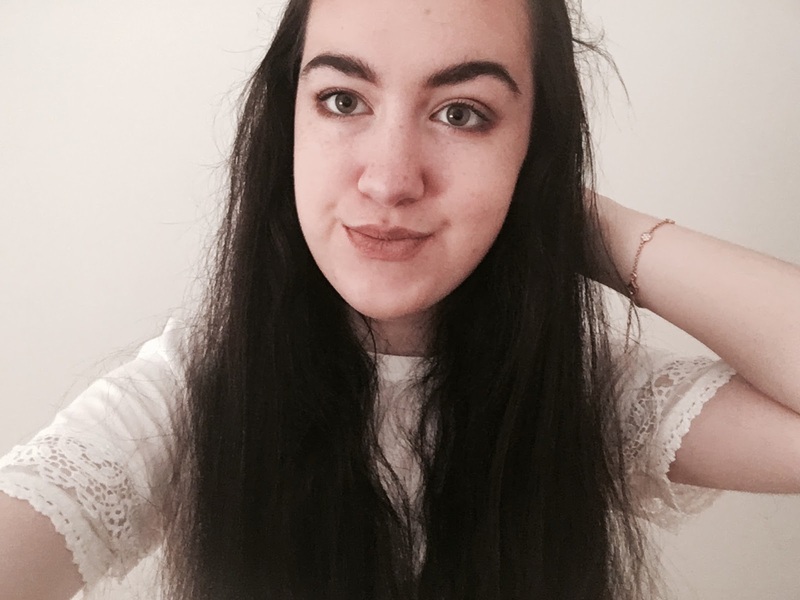 The brow drama brow mascara, which I have been using so much since I bought it - I love it so much. I also purchased a lip pencil in the shade Sweet Pink. I would love to hear some of your recent purchases in the comments! I really like that necklace , I might have to go and check out the rest of their Freedom range because that necklace is exactly my style ! I think you'll look lovely in that burgandy top , what a lovely present from your mum :) I've recently been buying lots of stationary to help get myself organised at college ! That top looks fab! I'm also in love with the blushed nudes palette, it looks so pretty! I haven't bought too much lately, I bought a skirt to wear at work, and some bras on sale ;) I also bought a few pieces from Lush. But I AM trying to save money, haha! So I'm keeping it modest!